I am taking part in a fun Bananagrams challenge with my family creating crosswords. The first challenge is based on ‘me and my family. I have to use words that describe my household, name, pets, interests,what we like for dinner, literally anything that gives a flavour of my life. The only rule is that I have to start by using the word ‘BANANAGRAMS’….. Here is my first entry…. 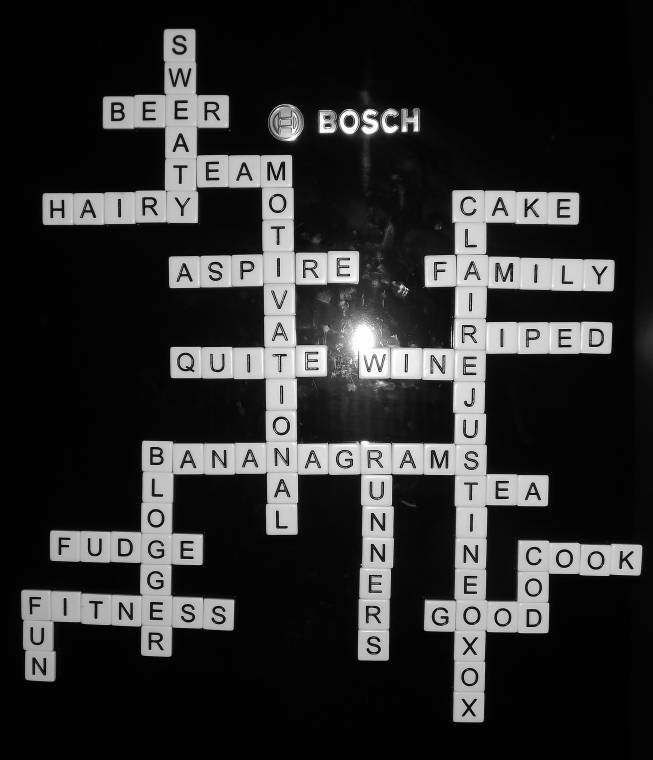 Bananagrams a great family fun as well as being educational! Depending on how many players you have, put all the tiles face down and take a certain number of letter for yourself from the bunch. One player shouts ‘Split’ and everyone turns their tiles over. Then it’s up to you to try and connect all your letter into intersecting words. You can re-arrange them as many times as you like until you have used all your tiles. Then you shout ‘Peel’. This means all players have to take one more tile from the centre bunch. f you are the lucky one you shout ‘Bananas’ and the game is over… But be careful, a single spelling mistake will make you a ‘Rotten Banana! 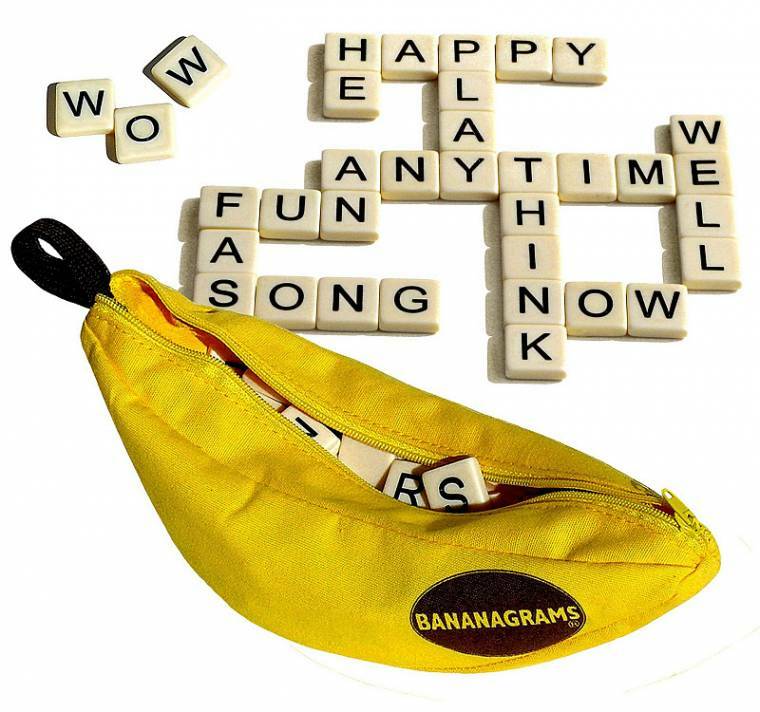 Go to BANANAGRAMS on Facebook and type I want to win a BANANAGRAMS with clairejustineoxox. Can wait ? Play have it at a great price of £9-99 and free delivery for a limited time…. I got sent this fun game to be part of the challenge. All thoughts are my own and I was not paid for this post.